Stayton - Joe, 88, died December 5 at his home. He was born in Silverton to Joseph and Zeta (Hammond) Brock and grew up on the family farm in Monitor. Joe served in the US Army during the Korean War. He received his Bachelor's and Masters in Education at Linfield, where he met Marilyn (Andresen) and they married August 4, 1956 in Astoria. 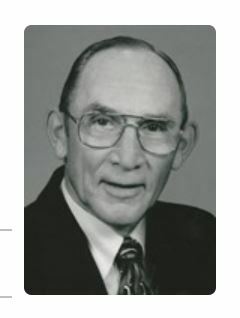 Joe taught in Oakland for 3 years and then went to Stayton High School in 1958 where he taught and coached baseball for 31 years, making life-long impressions on young men's lives. He was a member of Immaculate Conception Catholic Church. Joe's hobby was 'the property'. From raising rhoadies, to running a saw mill, raising birds and his orchard, he was always on 'the property', after school, weekends and especially during his retirement. He is survived by his wife: Marilyn of Stayton; children: Greg (Denny) Brock of Loveland, CO, Melinda Sarbeck of Salem, Eric (Jenny) Brock of Stayton and Kyle Brock of Post Falls, ID; brothers: Jerry Brock of Battle Ground, WA and David Brock of Anchorage, AK; sister Marlene Ricci of Modesto, CA; 7 grandchildren and 7 great-grandchildren. Joe was preceded in death by his parents and sister, Janice Mayfield. Mass of Christian Burial will be Saturday, December 9, 2017 at 11:00 am at Immaculate Conception Catholic Church in Stayton. Interment will follow in St. Mary Cemetery. Contributions may be made to the Stayton High School Baseball team. Serving the family, North Santiam Funeral Service, Stayton. Published in StatesmanJournal on Dec. 7, 2017.